Chef Curtis Stone is Rachael's co-host today, and he’s serving up classic comfort food: Chicken 'n' Biscuits! Then, the author of "Financial Freedom" explains why that daily cup of coffee may not be the expense you need to be cutting. (Wait, really?!) 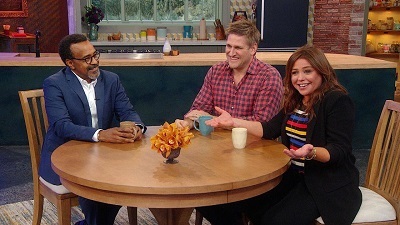 Plus, everyone’s favorite principal from "Mean Girls" is here: the hilarious Tim Meadows has the scoop on his new show, "Schooled." And Rach is making a hearty veggie soup — with cheddar waffle fries on the side!